The 2019 Raising the Roof for Charity Home is located at 2016 Cypress Tree Court, Madisonville, LA 70447 in Southern Oaks. The 2019 Home is built by Northshore Home Builders Association (NHBA) Immediate Past President Keith West of West Custom Homes and is valued at $400,000. It features 4 bedrooms, 3 bathrooms, a large outdoor kitchen, and 2-car garage. 7,500 tickets will be available for purchase at $100 on Friday, February 1 online at www.raisingtherooffoundation.org and at several local outlets. Participants are automatically entered into “Cash Giveaways” where they can win up to $20,000 in cash: $5,000 on February 28, $5,000 on March 28, $5,000 on April 25, and $5,000 on May 19. All winning tickets will remain eligible for all “Cash Giveaways” and for the “Grand Drawing” on Saturday, June 1, 2019. The Raising the Roof for Charity Home benefits deserving local charities: Habitat for Humanity – St. Tammany West, New Orleans Mission, and the North Oaks Foundation. 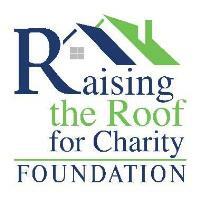 Raising the Roof for Charity Foundation has distributed over $5 million to local charities since 1994. Each year, NHBA members pool their time and talents to design and build a home of exceptional quality to benefit the community. All Media, sponsors, NHBA members, Board of Directors, and participating charities are invited to attend the Ground Breaking Ceremony on Friday, February 1 at 11AM.